In the first and second instalments of the World CryptoMap, we told you about Australia and Japan, respectively. 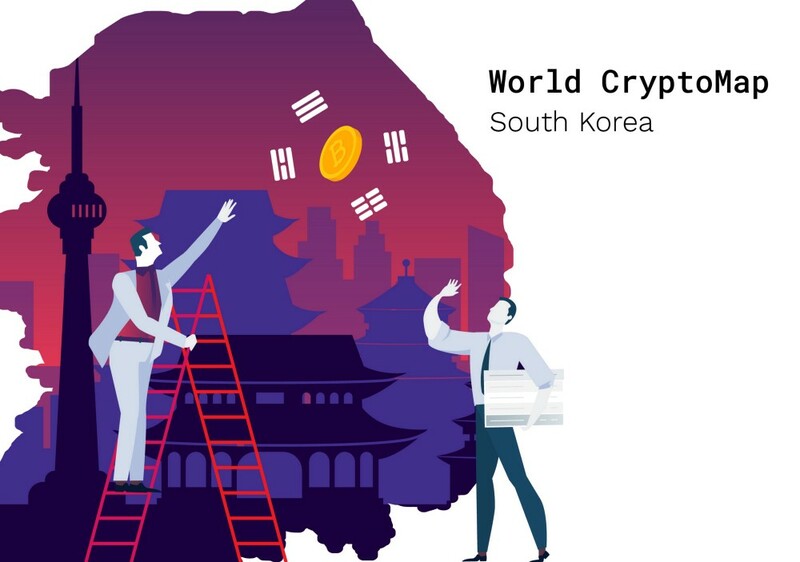 Today, we're going to focus on South Korea, which is widely believed to be the third largest cryptomarket in the world, only surpassed by USA and Japan. The story is quite a bit different this time, though?—?so let's take a closer look. As a crypto-trading center, South Korea has some impressive statistics to show. The third-largest market for trading Bitcoin in 2017, the country also hosts 3 of the top 5 Ethereum exchanges, which account for 40% of ETH global trading volume. According to a recent study, 80 percent of South Korean investors profited from investments in cryptocurrency in 2017, while seven members of this year's South Korea's Richest list compiled by Forbes turned out to have made substantial investments in cryptocurrencies. Over one-third of salaried Koreans have an average of $5,000 in crypto. Over a dozen cryptocurrency exchanges operate in South Korea, including Bithumb, Korbit and Coinone. Despite its relatively low population (under 50 million people), the country shows an outstanding demand for cryptocurrencies, with prices going up to 30% higher than in other regions. Shinhan Bank, the second largest bank in the South Korea, is one of the country's major banks providing local crypto exchanges with virtual bank accounts. Thanks to this, traders can save time and money by avoiding using actual bank accounts when depositing or withdrawing funds. In July 2018, a blockchain-based customer ID verification solution is to be launched by the Korea Federation of Banks (KFB). The system is intended to replace the currently used 20-year-old public verification system and will be utilized both for desktop and mobile banking. The Korean won was used for over 10% of Bitcoin trades over the second half of 2017 and was the leading currency for ETH transactions until the end of that year. The won's role has since declined, though: the South Korean government has started to take active measures to assume control over the country's cryptoindustry. The authorities are concerned about illegal funds entering the market, as well as possible price manipulation based on speculative cryptocurrency investments.